Fake news, the Facebook-Cambridge Analytica scandal, the WannaCry virus: From jihadist propaganda to electoral interference and targeted manipulation (Trump - Brexit - Gilets Jaunes...), to all-out cyber-attacks, the Internet has the power to change and upset political and geopolitical orders across the world. Who are the main actors of this new global battlefield? Russia, the U.S., China...? How are social sites and our data exploited? Can we tackle the growing cross-border politically motivated cyber onslaught on privacy, security, democracy and freedom? Jean-Louis Gergorin and Leo Isaac-Dognin will present their informative and hard-hitting book Cyber La Guerre Permanente /Cyber The Permanent War and expose how the digital world has multiplied the capacities and the forms of aggression, abolishing the distinction between war and peace, security and freedom, oligarchies and democracy. They will reveal the hidden face of digital globalization from Moscow to Washington, from Beijing to Tel Aviv, Tehran, London or Paris, but also from the Silicon Valley to the Old Continent. They will share the ‘inside stories’, decrypting the forces and the stakes, the new tactics, the risks and the threats, and sketch out future scenarios of the chilling perpetual cyber warfare. 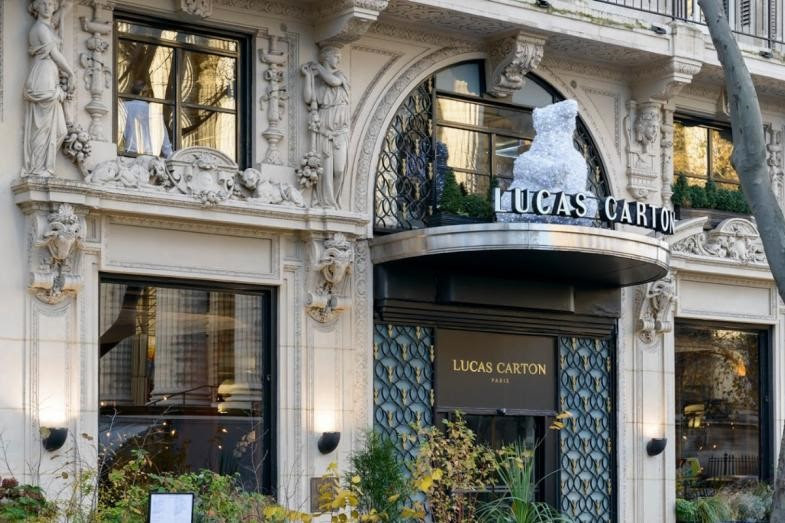 Following the cocktail, you are welcome to join our speakers for Dinner in the beautiful main restaurant decorated by the famous French Art Nouveau designer Louis Majorelle. Jean-Louis is the owner of JLG Strategy, an aerospace and defence consultancy, and teaches at Sciences-Po Paris. He was previously inter alia Executive Vice-President of EADS (now Airbus) and Head of Policy Planning at the French Foreign Ministry. Jean-Louis is an alumnus of École Polytechnique, ENA and of Stanford's Executive Program. He is also co-founder of the French American Cybersecurity Conference and a member of the RAND Business Leaders Forum. 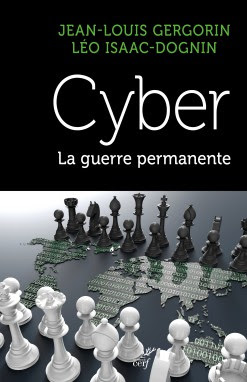 Cyber, La Guerre Permanente (Ed du Cerf) is his second book. Currently a project manager within Capgemini's digital strategy unit in Paris, Leo previously worked for the UK's FCA as a financial crime analyst and policy advisor. He holds a BA from the University of Cambridge ('12), and a dual-MPA from Columbia University and Sciences Po ('17), focused on technology and defense policy. Jean-Louis Gergorin and Léo Isaac-Dognin describe cyberwarfare as the combination of hacking for sabotage, data thefts, and information manipulation through social media that came to public attention following the events surrounding the US presidential election of 2016. Far from being isolated events, such operations have grown to become a pivotal component of state and private sector strategies to take on adversaries and competitors in the 21st century. Among main countries and entities involved, which are the winners and losers? What risks does the future hold? And how can we respond to rising threats and break with the current level of ignorance and apathy? These questions are at the center of the authors' work. Save the Date: We will be delighted to welcome you to this stimulating first event of 2019 on the important theme of Cyber War. Please save the dates of Thursday February 21, 2019 for our Dinner-Talk with the Head of the Women's Forum, Chiara Corazza, and Thursday March 14, 2019 with Laurent Alexandre & J-C Ameisen (tbc) to discuss other Big Challenges of the 21st Century.